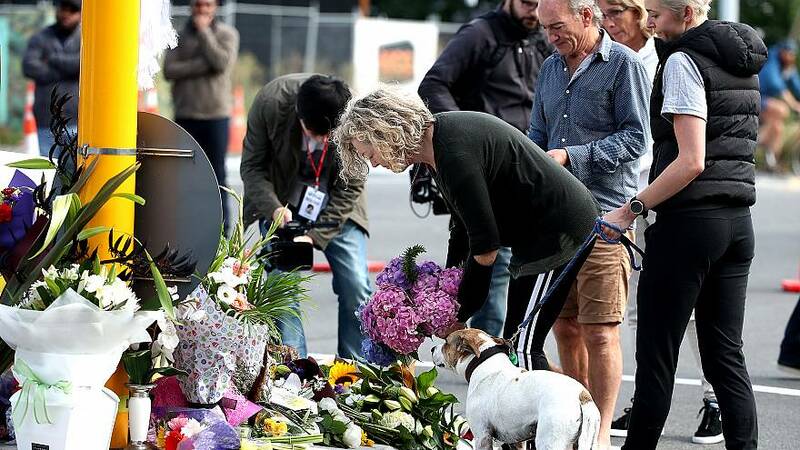 When a friend in New Zealand posted on Facebook about the mosque attacks that left dozens dead, Cheryl Stumbo went into an all-too-familiar routine. She read the news, let herself process the sorrow, despair and grief, and then told herself that she would go to sleep — tomorrow she would wake up and continue her work to end the gun violence epidemic in the United States. In 2006, Stumbo was was sitting at her desk at the Jewish Federation in Seattle, Washington, when an armed man broke into the office. He shot Stumbo and five of her coworkers, one of them fatally. "I was in critical condition at the trauma center in downtown Seattle for six weeks," Stumbo told NBC News. What followed was three years of surgery, PTSD counseling, and the trial of the shooter. "For about a year or two after the first three years I thought I would be able to 'go back to normal,' put it all behind me and go back to life as it had been before I was shot," Stumbo said. But after trying to go back to normal, she "came to realize that wasn't going to be possible." "Experiencing something like a mass shooting and surviving is just about as traumatic as it can get," said Frank Farley, former president of the American Psychological Association and professor of educational psychology at Temple University. Farley said surviving a shooting can cause depression, stress, grief, anxiety, and PTSD, and that symptoms might not show up right away. Even if PTSD isn't felt at first, that "doesn't mean you will escape the after effects," he explained. "PTSD can show up days, weeks, months, or years later." That's why he says it's so important to get professional help. But mass shootings don't just affect those involved and their loved ones. Daniel Mosley, a psychologist who has been a volunteer with the American Red Cross Disaster Mental Health services for more than 20 years, told NBC News that events like the mosque shooting in New Zealand can affect all of us "at our core." "Even if we aren't directly on scene, a shooting affects our sense of what's going to happen next — what can I trust? Where will I be safe?" Mosley said. "People need to give themselves permission to go through a recovery period, which can be full of ups and downs," he said. "I wish we had a nice formula." Mosley thinks allowing yourself to feel and process your emotions, whatever they are, is one of the most important starting points. "Sometimes we are hard on ourselves when we are experiencing after effects of some trauma," Mosley said. "Even if it was vicarious trauma or second hand trauma, we don't give ourselves room to experience something deeply emotional in response to that." Stumbo knows this firsthand. When she was trying to "go back to normal," hearing about shootings could become all-consuming. "I would turn on the news and I would sit there and cry and scream at the TV and then the following month, it would happen all over again," she said. Something needed to change, and Stumbo decided she was going to use her voice for create change, she just wasn't sure how. Then, the Sandy Hook Massacre happened. "I very quickly got hooked up with a bunch of people locally who decided that the first thing they wanted to push for was background checks in Washington State," Stumbo said. After trying to lobby the legislature twice and failing, Stumbo became the citizen sponsor of a ballot initiative to require background checks. In 2014, Washington State voted in favor of initiative with 59 percent of the vote. Working on that campaign with other gun violence survivors was a turning point for Stumbo. "My motivations and what was important to me had changed," she said. "Working with survivors every day, working on this issue, helping make progress, that is what gets me up in the morning." Paul Gionfriddo, CEO of Mental Health America, said community can be crucial to recovery. "When a community can pull together, and you can work with somebody else going through the same thing, it really can be helpful," he said. Gionfriddo said that a 2014 Cochrane Review of published research showed engaging with peers can be "as valuable" a tool in healing from past traumatic events as seeing a professional. He recommends both. "The most frequent symptom or salient feature of a mental health condition is the feeling of loneliness or isolation," Gionfriddo said. Experiencing something as traumatic as a mass shooting, especially if you're a member of a marginalized group that was targeted in that shooting, can only exacerbate that isolation. That's why, now, Stumbo works to organize shooting survivors, building community and working towards change through Everytown for Gun Safety, a non-profit that advocates for gun control. "I go from state to state, holding workshops where I train survivors on what it's like to share your story, and how to share your story with different audiences in a way that is effective," Stumbo said. With therapy, community-support, and activism, recovery has been easier. Through it all, Stumbo continues to dream of a country "without the fear that guns are going to get in the hands of irresponsible for people."